H: 43 in. x W: 30 in. x D: 1 in. 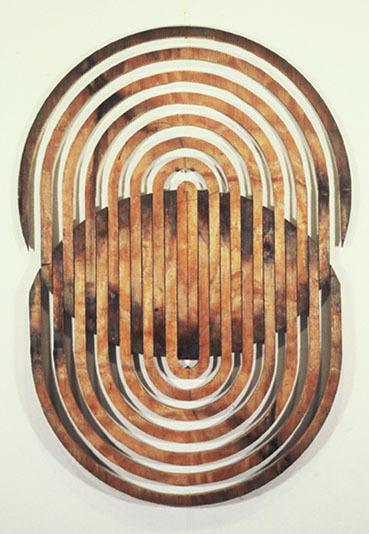 One of a number of “Circle Pieces,” made from found 30-inch diameter plywood disks used to cap the ends of steel pipeline at Standard Pipeprotection Co, St. Louis, MO. The company, together with St. Louis Car Company, manufacturer of NYC subway cars in the 50s and 60s, was a subsidiary of Granite City Steel. It was located behind the Brentwood studio and was a consistent supplier of sculptural and photographic material.